Is it true you can rent horses from Mt. Fuji's 5th Station??? ok maybe it is here and i have missed it (would not be the first time;) i read somewhere you can rent a horse and ride from station 5 to 7, but i cannot find details. which route? how much? is it respectable or totally 'cheating'? Comments for Is it true you can rent horses from Mt. Fuji's 5th Station??? It's now official! Sadly the answer is YES. In one of the millions of brochures I picked up last week @ Mt. Fuji's 5th Station was a pic of one of the veteran horses named Akabee Gou, who's even hoofed it to Mt. Fuji's summit. Bless his heart! Yes, horses have played a key role in Mt. Fuji's rich history, having since ancient times carried people's luggage, transported construction materials, and even delivered supplies to the mountain huts. Nowadays Mt. 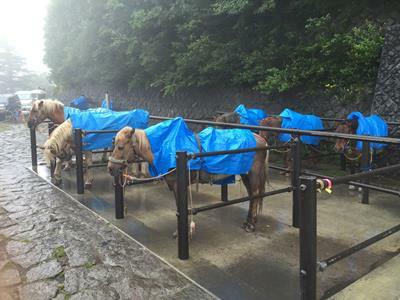 Fuji's 16 horses also help out folks with minor injuries or others too tired to hike. Ouch! PLEASE TELL ME IT AIN'T SO!! I burnt out about 4 decades ago having to dodge voluminous amounts of horse poop while climbing up America's gorgeous Rocky Mountains. Uh, no thanks. 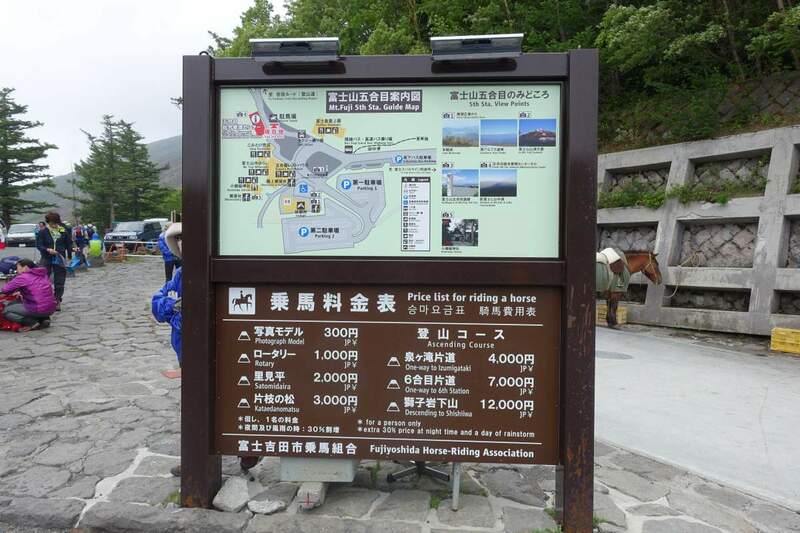 Perhaps another visitor to this page who's recently climbed up the Yoshida Trail can vouch for whether there are really rental horses between the Yoshida Trail's 5th & 7th Stations.